Just the name chemical peel is a little scary if you are new to skin treatments. Most people think there is a lot of downtime after having a peel, but there does not have to be. Cleveland Clinic Aesthetic Services has multiple peels, including some with little to no downtime and others where you may need a few recovery days, so plan it when you do not have a lot going on in your social life! The truth is you do not have to shed your skin like a snake! With new advances in chemical peels your skin is not peeling in sheets of skin, but peeling gently and successfully exfoliating your skin. Chemical peeling is a procedure that aims to accelerate skin exfoliation by using chemical substances, resulting in renewed, healthier looking skin and a more uniform complexion. Peels also address skin tone unevenness that can be caused by acne scarring or pigmentary changes. 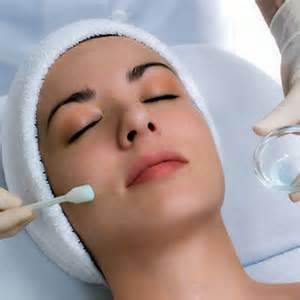 Chemical Peels come in a range of different strengths to provide optimum treatment results. 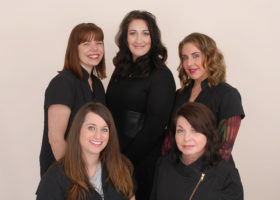 During your skin consultation, your Skincare Specialist will evaluate your skin condition and your goals, and together you will decide on an appropriate peel and skincare regimen based on your needs and expectations. If this is your first peel and you want your skin consultation and treatment performed at the same time, please schedule a skin consultation with peel to follow (which will be a 1 hour appointment). Any procedure or products that may increase skin sensitivity should be avoided before your peel. We ask that you do not use Retin A or Retinols for 5 days before your peel. Patients using Accutane must stop treatment for 12 months prior to having a Perfect Derma Peel to achieve desired results. What should I expect during my peel treatment? The actual peel application takes about 20 minutes. Tolerance to the procedure varies from patient to patient and is peel specific. Tingling and a burning sensation are normal and expected reactions. We use a fan to help minimize discomfort, which usually subsides within a few minutes. Some peels can leave a yellowish tinge on the skin which lasts for a few hours. Mild to moderate redness is expected after any type of peel. The extent of redness varies from patient to patient and is dependent on the strength of the peel. The face can appear redder than usual for some time after the treatment and completely resolves after the peeling is complete. Will my daily routine be affected after treatment? Your skin will be a little red, schedule your day accordingly. Normal activities can be resumed immediately post peel. We recommend avoiding heavy exercise and excessive sweating during the peeling process with our stronger peels. The extent of peeling varies from patient to patient and strength of the peel. Your Skincare Specialist will provide you with in depth post peel instructions. With the Perfect Derma Peel you will usually peel 3-7 days following the peel. Immediately after the peeling process is complete, your skin will be very susceptible to sunburn, extra precautions should be taken to limit sun exposure for at least one week after the peel. It is imperative to use a broad-spectrum sunscreen product with an SPF of 30 or higher. After my peel, when can I resume my regular skin care regimen? You can resume the use of your regular treatment products after you have completely finished peeling. Some of our peels come with an at home skincare regimen during the peeling process. What Results Can I Expect After A Peel? A noticeable change in the brightness and vibrancy of your skin. Multiple treatments may be required to achieve your desired results. The number of treatments is based on the initial level of skin damage, and can vary from 1 for rejuvenation to 2-6 to address specific imperfections. The effect of the peel is cumulative and results are favorable when the peels are used in conjunction with a daily skin care product regimen. How often can I have peels? Peels can be repeated every 3 to 4 weeks depending on the strength of the peel. How do I maintain optimal results following a peel? For best results peels are part of a skin management program that are used in conjunction with an in home skin care regimen. During your skin consult, your Skincare Specialist will make recommendations based on your individual needs and skin goals. What skin types will respond well to peels? Our peels are appropriate for all skin types. Can pregnant or lactating women receive a peel? Peels should not be administered to pregnant or lactating women. Please make a skin consult appointment with one of our Skincare Specialists to address any other questions you may have. You can schedule an appointment with a Cleveland Clinic Aesthetic expert by calling 216-444-6900.